Very pretty -- congrats on the new addition. 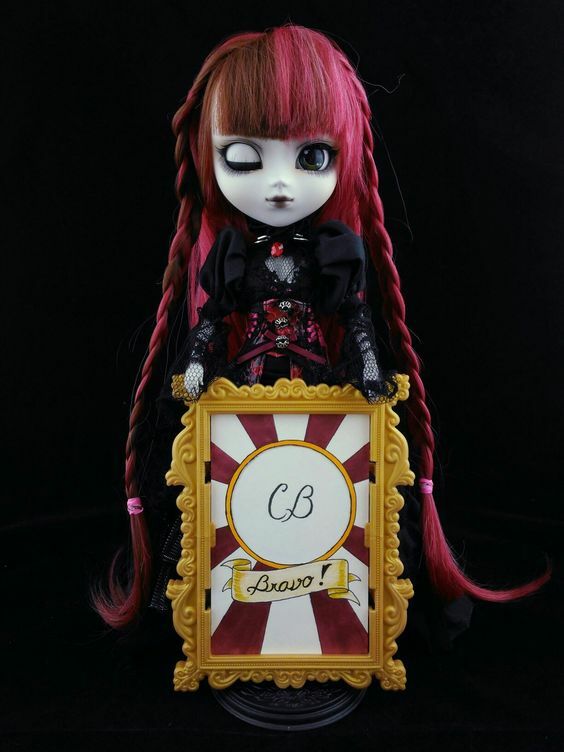 She looks amazing - we've been thinking of getting a purple-haired girl for the collection, and I think this one is just perfect! (12-16-2018, 01:41 PM)Cornflower Blue Wrote: Thanks, and you missed that hair sticking out toward the right. It's the static electricity time of the year. Hee hee! I did overlook that stray hair here. For some reason it was more apparent in the Flickr post of the same photo (where I mentioned it). ADAW 49/52: A belated Merry Christmas and a Happy New Year! Oh, what a cutie! And a sweet photo! Wherever it is that she lives where she can dress like that in the winter, I want to live there, too! Cute. The little gold sleigh looks neat too. Thanks! It's not really that warm here, she's trying the power of positive thinking. Plus I got her a pair of official Smart Doll shorts, so of course she had to wear them. Here I go with the last 3 photos for this challenge and yes, I did take them over the last few days! 51/52: is Marmit Etoko-chan serving up some Re-ment goodies and also most likely to loose a foot or swap bodies. My, what big eyes she has! 52/52: And finally to finish off the year is this adorable little Mama chapp doll. 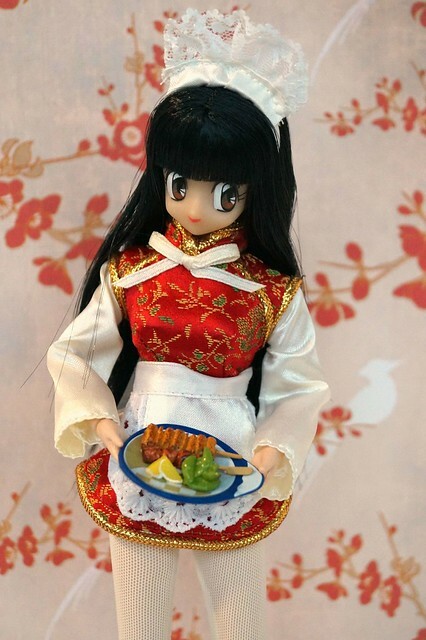 She has a standard 21cm Obitsu body with the usual option hands. 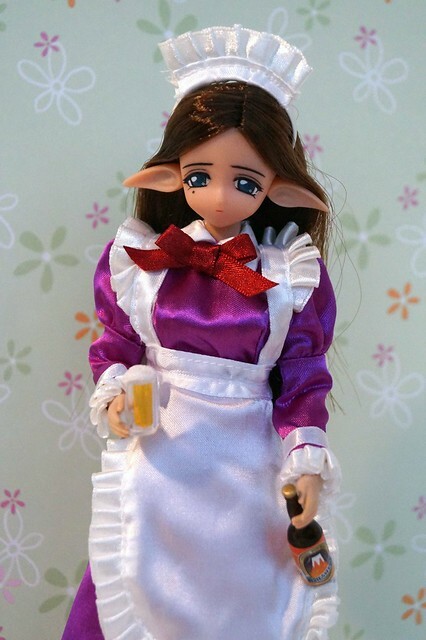 Marmit elf-girl looks like she is drinking to drown her sorrows... with limited success! She should be happier now that she knows she gets to keep both of her feet! 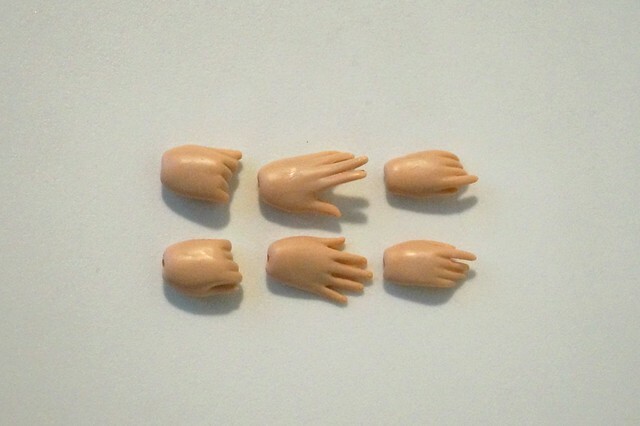 Congratulations on completing A Doll A Week 2018! 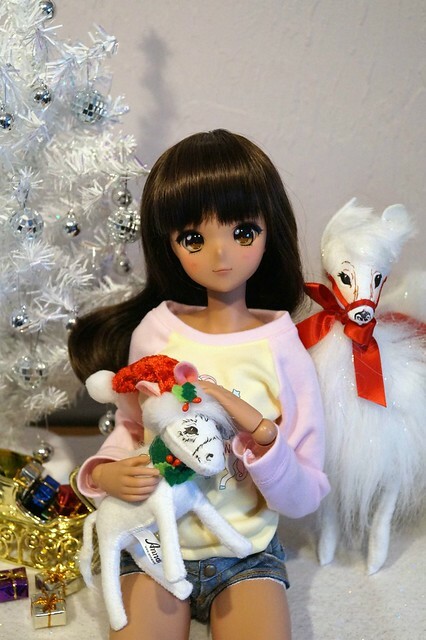 And for adding a Smart Doll to your dolly family this year! Pretty funny how you just skated in under the wire at the end, there! So many cuties I don't know! 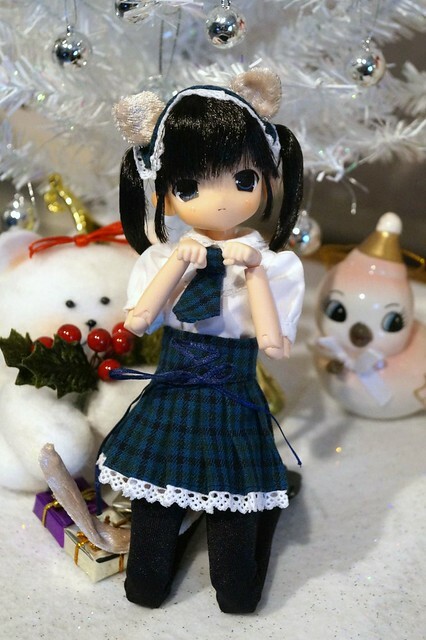 Very pretty photos of very pretty dolls! And congratulations on completing A Doll A Week! Congrats on finishing!!!! Happy New Year!!!! Thanks everyone who took the time to look at my photos and to those of you who commented! My doll a week tends to be skip a few, catch up, skip a few, catch up. But at least I finished this year, unlike 2017.